Open embryo donation involves ongoing communication and contact between the donor parents and the recipients, including the child. This can take the form of letters, emails, phone calls, and/or visits. The amount of contact is negotiated between the donors and recipients and varies from one situation to another. Beginnings, together with many professionals in the medical community, believes openness is most beneficial for the children. An open approach allows children to maintain relationships with important people in their lives, including genetic parents and siblings. Of particular importance, Beginnings advocates an approach that allows children and parents access to information about genetic origins. There are many ways a child can become a member of a family. Many infertile individuals/couples choose adoption while others look to assisted reproductive technologies including in-vitro fertilization (IVF) to create their family. But now there is another option. Beginnings Family Services is offering an Embryo Donation Program giving individuals/couples successful in IVF the opportunity to donate their remaining embryos to infertile individuals/couples hoping to become parents. This selfless donation offers a chance for life, hope and a future for thousands of embryos. 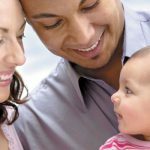 Beginnings Family Services offers open embryo donation and facilitate donations across Canada and between fertility clinics. Mary and the team at Beginnings were so great to work with and very sympathetic to our situation. We would highly recommend Beginnings to any couple, like us, who might be out of steam to keep growing their family but may have frozen embryos remaining. What a great opportunity they facilitate to honour life and to help couples struggling with infertility. Working with Beginnings has been a wonderful blessing for our family and through embryo donation has led to to two adorable children. We are also enjoying a deepening relationship with the donor family, which has enriched our lives tremendously. Going down the path of embryo donation is one of the best decisions we have ever made. After giving birth to our beautiful twin boys, it was not an option for us to destroy our remaining embryos. We were matched through Beginnings and were thrilled that the recipients became pregnant, and recently delivered a healthy baby boy. We wanted to help a couple with fertility struggles, because we know the struggle of infertility and the joy of successful treatments. Beginnings has allowed us to fulfill the greatest hope and dream of our lives. We are profoundly grateful to Mary for enabling the perfect match with our amazing donor family. In just a few months, we’ll be holding our first child in our arms, after years of trying to build our family. We are overflowing with gratitude and joy! This is my daughter’s “pod family” and without Beginnings this could never have happened. Thank you! I’m so blessed with my daughter but I’m also blessed that she could have siblings and a relationship with them. We are so glad that we discovered Beginnings and were able to experience an “open donation”. Mary’s support was greatly appreciated and we are thrilled to be expecting the birth of our first son any day now. We really believe in this program and wish more people knew about it. Embryo donation involves the transfer of a human embryo from a donor couple to a recipient woman. How does embryo donation differ from egg or sperm donation? Unlike embryo donation, neither egg nor sperm (gamete) donation procedures result in the birth of a child. Embryos are established entities which, given “appropriate conditions”, can lead to the birth of a child. According to Canadian law, embryos represent more than sperm and egg (gamete) but less than a living child because “appropriate conditions” are still required. How does embryo donation differ from surrogacy? Embryo donation is not surrogacy. In a surrogacy arrangement, an agreement is made for a woman to carry a pregnancy on behalf of the intended parents. The surrogate may or may not have any genetic link to the child she is carrying, but is considered the birth mother when a child is born. With embryo donation, donors relinquish all rights to the embryo and resulting child prior to transfer. The recipient carries the embryo to term and becomes the delivered child’s birth mother. Surrogacy is regulated under the AHR Act (2004) and there can be no payment, or facilitating surrogacy arrangements. How does embryo donation differ from infant adoption? Donation relates to the medical and legal transfer of tissue between patients. Embryo donation involves a medical procedure to transfer genetic tissue (the embryo) created by 2 parties (the donors) to a recipient. If successful, a child is born to the recipient mother. Since she gives birth to the child, she is considered the birth mother and legal parent of the child. Adoption is a process that involves the legal transfer of parental rights and responsibilities from the birth mother to the adopting couple. Consent for adoption cannot be given until after the birth of the child. Canadian law accords a lesser legal status to embryos than that of children. Accordingly, the term “donation” therefore is used for the sake of clarity. Does Beginnings promote the use of IVF as a way to create a family? Beginnings neither promotes nor condones the use of IVF as a means of creating a family. Beginnings offers options to individuals/couples who have surplus embryos created as a result of IVF procedures. Does Beginnings encourage the creation and freezing of embryos? No. Beginnings does not encourage the use of a medical treatment to create embryos for this purpose. Beginnings is working to provide a life affirming alternative to the dilemma faced by the families with tens of thousands of embryos frozen in clinics across Canada. Can recipients pursue successive pregnancies using embryos that remain? Yes. If a pregnancy is achieved using one of the donated embryos and others still remain, they can be used at a later date in pursuit of future pregnancies. Does Beginnings work at the outset with individuals/couples engaging in IVF treatments who want to pursue embryo donation? The decision to donate embryos is typically made after individuals or individuals/couples have completed their own families and have surplus embryos remaining from their IVF treatment and not at the start of treatment. As part of our counselling services, Beginnings can assist individuals or individuals/couples making decisions about IVF treatment and any surplus embryos created and stored. In the event of one partner’s death, can the remaining partner donate embryos to Beginnings for placement with suitable recipients? If the remaining partner has the sole right to make decisions, and/or has a legal consent signed by the deceased partner, for the stored embryos and can provide the required medical history, then it may be possible to donate these embryos to recipients. It means there will only be one donor parent involved in the open relationship with the recipient couple. Does Beginnings work with out of province embryo donors? Yes. Beginnings can work with embryo donors in any province or territory across Canada. Does Beginnings work with out of province embryo recipients? Yes. Beginnings can work with embryo recipients in any province or territory across Canada. Does Beginnings work with out of country embryo donors? No. Beginnings works with embryo donors solely in any province or territory across Canada but if a Canadian donor has used an out of Country fertility clinic, the embryos could be brought to Canada. Does Beginnings work with out-of-country embryo recipients? No. Beginnings works solely with embryo recipients in Canada. Does Beginnings facilitate the donation of embryos created using donated sperm or eggs? Yes. Although Beginnings prefers to work with non-anonymous donors, we are able to work with donors who have used anonymous or identity release gamete donors, where there are no restrictions on doing so.